Our plastic surgery clinic was established to provide the most comfortable, discreet, and luxurious treatment experience. Dr. Jeffrey Hoefflin is a highly-respected plastic surgeon who is recognized for his skills, artistry, and his ability to create remarkably natural-looking results. Our office is luxurious and comfortable and our state-of-the-art surgical facility is only steps away. Looking for the least invasive, most effective anti-aging treatment? Experience a Beverly Hills breast surgery practice that stands heads above in artistic outcomes and patient care. Beauty is in the eye of the beholder, and every patient has a unique vision about aesthetics. We serve our patients one-on-one to achieve their cosmetic goals, whether breast augmentation, tummy tuck, or other cosmetic procedure. For an outstanding patient experience from a plastic surgeon focused on excellence, we invite you to meet with us at our Beverly hills, Los Angeles area offices and start the journey to a younger, fresher, more attractive you. Dr. Jeffrey D. Hoefflin offers a depth of experience and artistry above and beyond the ordinary. He has garnered respect and admiration for his ability to perform cosmetic procedures that look both beautiful and natural. He has an impressive list of celebrity clients, and is often recognized for his appearances on various media outlets. His stellar reputation in plastic surgery is a natural result of his focus on surgical excellence and his dedication to providing his patients with a VIP experience from start to finish. His clinic was carefully planned for the ultimate in patient comfort and care, with his state-of-the-art surgery clinic just a few steps away from his luxurious Beverly Hills office. Dr. Hoefflin is a member of the Los Angeles Society of Plastic Surgeons and the Bay Surgical Society and a candidate member of the American Society of Aesthetic Plastic Surgeons. Dr. Hoefflin is an Associate Fellow of the American College of Surgeons. He has lectured both nationally and internationally at highly respected society meetings, including the American College of Surgeons and the American Society of Aesthetic Plastic Surgeons. Recent lectures and publications include such topics as the importance of safety in outpatient surgery, facial nerve anatomy, the avoidance of nerve injury in facelifts, minimally invasive brachioplasty, revisional breast augmentation, and lip rejuvenation. Schedule a consultation today with one of the top breast surgeons Los Angeles has to offer. Dr. Hoefflin’s office and operating room staff are highly experienced personnel with decades of plastic surgery involvement. They take great responsibility in providing our patients with the highest level of comfort and care. It is of the utmost importance to our staff that their patients receive the best possible service, before, during, and after surgery. Our professional staff also includes front desk receptionists, patient coordinators and consultants, as well as an aesthetician. Our veteran operating team consists of board-certified anesthesiologists and registered nurses who bring decades of experience in ensuring a safe and smooth peri-operative experience. It is imperative that any breast surgery in Los Angeles, whether breast augmentation, breast lift, breast reduction, breast revision, or breast reconstruction, is performed with the most advanced surgical techniques and procedures. 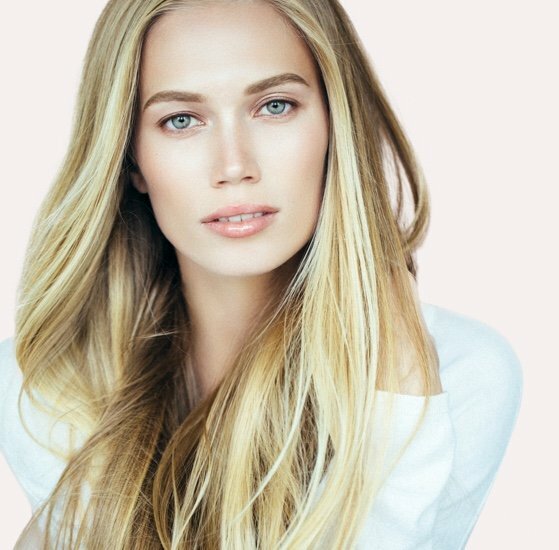 Dr. Hoefflin has a stellar reputation for surgical excellence performed in his state-of-the-art luxury plastic surgery clinic in Beverly Hills. With advanced body sculpting procedures, you can achieve a more alluring, attractive body shape. To create a tighter, firmer figure, we offer a full array of surgical and non-surgical procedures. Ready to resculpt your body? We treat excess fat and skin on arms, back, tummy, thighs, and love handles. To enhance body shape with increased volume, we offer natural fat transfer and other enhancements. Considering facial surgery? You want to ensure the procedure is performed with the most advanced surgical techniques and meticulous care in performing the procedure. Dr. Hoefflin is known for his artistry and ability to produce stunning facial enhancements – that appear natural, fresh, and rejuvenated. The latest developments in aesthetic technology have brought new treatments and systems to the industry. From injectables to medical-trade chemical peels to restore skin quality, to lip augmentation or laser treatments, we offer our patients groundbreaking options for cosmetic enhancement without surgery. We are here to restore, rejuvenate, sculpt, and revitalize face and body. We invite you to make an appointment for a one-on-one consultation about your aesthetic goals and to learn more about our wide range of surgical and non-surgical treatments. So Contact us today with arguably the best breast surgeon Beverly Hills has to offer. Nature punishes our bodies, including the breasts. As the years pass, the skin and tissue lose the firm, supple quality of youth, and the breast and chest tissue begins to droop and sag. A breast lift is a revitalizing treatment that restores the look of youth and vitality to your body. A breast lift may be combined with a breast augmentation, or performed as a single procedure. Your breasts can be reshaped so they look plump, firm, and youthful – this treatment can produce a remarkable improvement to your appearance and ramp up your feelings of self-esteem and confidence. Many of our patients come to us to add breast volume. If you are unhappy with the size or shape of your breasts, modern breast surgical procedures make it possible to augment breast volume with results that look and feel natural. Breast implants, when the surgery is performed by a true professional in plastic surgery, look absolutely stunning. Is it time to get the breasts you have always wanted? Talk to us and find out about the latest advancements in breast augmentation surgery. We stay ahead of the curve, and always seek the least invasive surgical procedures for our patients. We are often called upon to repair an earlier breast augmentation surgery that went wrong. Whether you have older implants that need replacement or your breast augmentation surgery results were flawed, leaving you with odd-looking, uneven, or breasts too large or small, or you have developed capsular contracture, let us evaluate your situation and help you restore the look that will revitalize your appearance, empower you, and provide you with the breasts you always wanted, at last. Learn more and schedule a consultation today with our Los Angeles breast surgeon, Dr. Hoefflin. Women who have lost breast tissue after a mastectomy or other trauma can restore natural-looking breasts with the help of Beverly Hills plastic surgeon Dr. Jeffery Hoefflin. Breast reconstruction is an important issue, as the loss of a breast takes an emotional toll and can leave you feeling inhibited and unlike yourself. We are here to help you recover your feminine curves and put your ordeal behind you so you can move forward feeling strong, empowered, and ready to face what life brings you – with new, beautiful breasts that look and feel natural, soft, and lovely. Your breasts add a lovely feminine appeal, but in some cases, can be too much of a good thing. Women who have overlarge breasts have trouble wearing standard clothing size and are dismayed to see their breasts begin to droop and sag, even during the younger years. A breast reduction can bring you relief from all the problems associated with overlarge breasts, including back pain, grooves in your shoulders, rashes, or other problems. We can help you have breasts that create a harmonious balance with the rest of your body. Learn more schedule a consultation today with our Beverly Hills breast surgeon, Dr. Hoefflin.